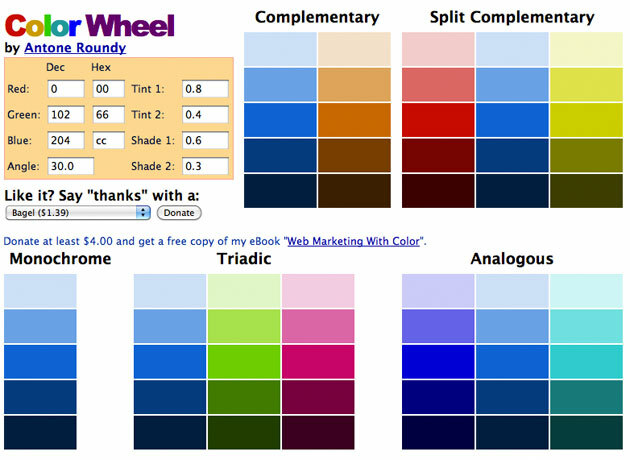 This little utility is a very useful application that allows one to build a basic color palette starting from a given color. Its appeal lies in its simplicity – it is much easy to use than other similar utilities, loaded with extra features. The downside lies with the annoying lighbox banners that are triggered simply by moving the mouse close to the browser toolbar. Yet those that can get over these nags will find the Color Wheel a good help in times of need.